Odell Beckham Jr. and Jalen Ramsey: the most anticipated NFL Week 1 matchup Which begs the question: Why is the Giants vs. Jags game, with two supernova young talents, not in prime time? 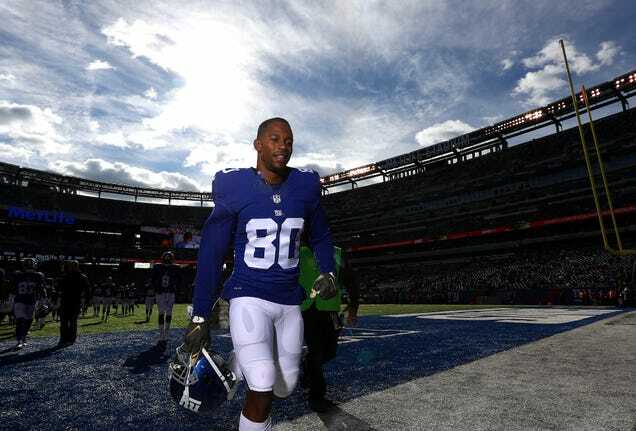 Former New York Giants wide receiver Victor Cruz has done his last salsa in the opponent’s end zone, as the 31-year-old announced his retirement Tuesday adding that he will be joining ESPN as an NFL analyst. What Had Happened Was: 11/29/17 Oh, you didn’t know? We got you. What Had Happened Was: 9/19/17 Oh, you didn’t know? We got you. What Had Happened Was: 8/22/17 Oh, you didn’t know? We got you. On Tuesday, Odell Beckham Jr. reportedly signed off on the most lucrative deal ever to be signed by an NFL player for endorsements. The post Report: Odell Beckham Jr. signs multi-million dollar deal with Nike appeared first on theGrio. What Had Happened Was: 1/9/17 Oh, you don’t know? We got you. What Had Happened Was: 12/23/16 Oh, you don’t know? We got you. What Had Happened Was: 12/12/16 Oh, you don’t know? We got you. What Had Happened Was: 11/15/16 Oh, you don’t know? We got you.